Looking for property management services? Rosewood Property Management LLC has been serving Redmond, Bend, Madras and Prineville for over 25 years. We will handle your investment including advertising, tenant screening (credit report; rental history; employment; bankruptcy & felony check), contract negotiation, tenant evictions, property inspections, maintenance, and monthly accounting including but not limited to rent collection, mortgage and insurance payments. If you have any further questions about our services, please contact us! 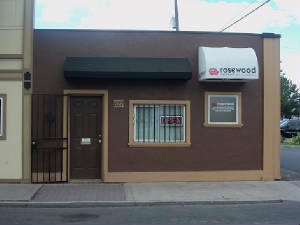 Rosewood Property Management LLc provides personal attention to all owners and tenants. We are sure you will be very happy with the service we provide and look forward to working with you! We have many homes, and multi-units to suit your needs. Be sure to check our "How To View / Apply / Rent" page to view the screening process. Browse our availability online, view photos, view our application requirements, THEN APPLY! HOURS: We are open by appointment to schedule showings; after you have viewed our website, call today for an appointment!